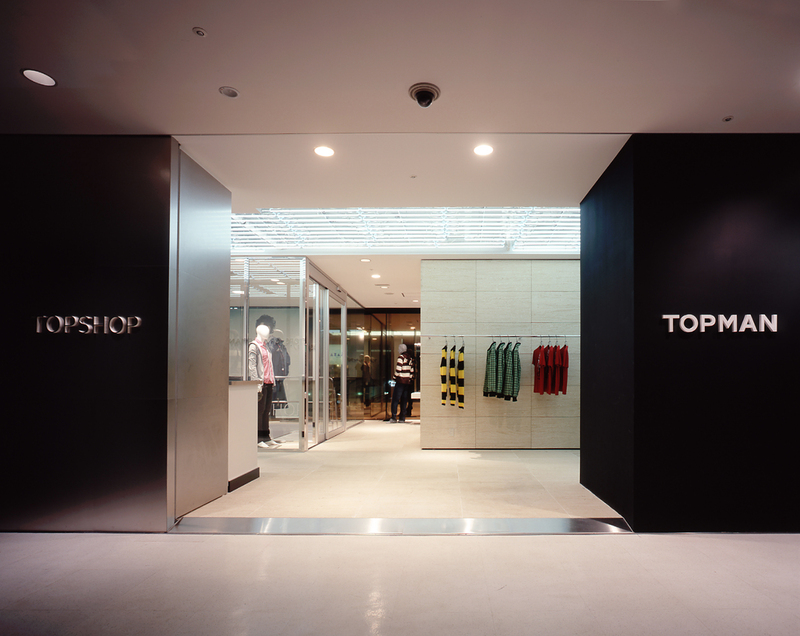 High Street fashion brands TOPSHOP and TOPMAN have stores around the world. 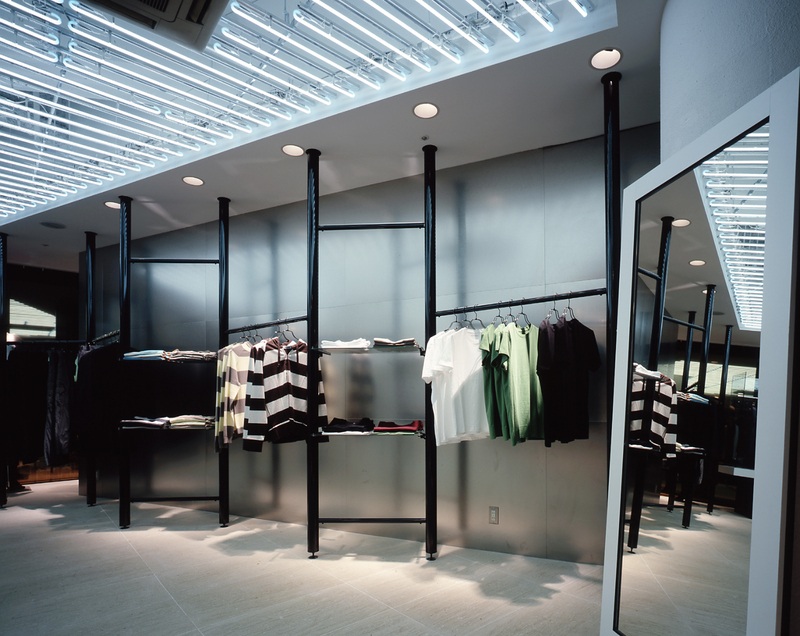 Their first store in Japan opened in the second floor of La Foret, a veritable holy ground for the young fashion maniacs in the middle of one of the world's most prominent shopping districts, Harajuku and Omotesando. The shop's main window can be seen from the street, so to make use of the good location and to make an impact on passers-by, Jamo experimented with a design that used the entire shop as a billboard for the store. 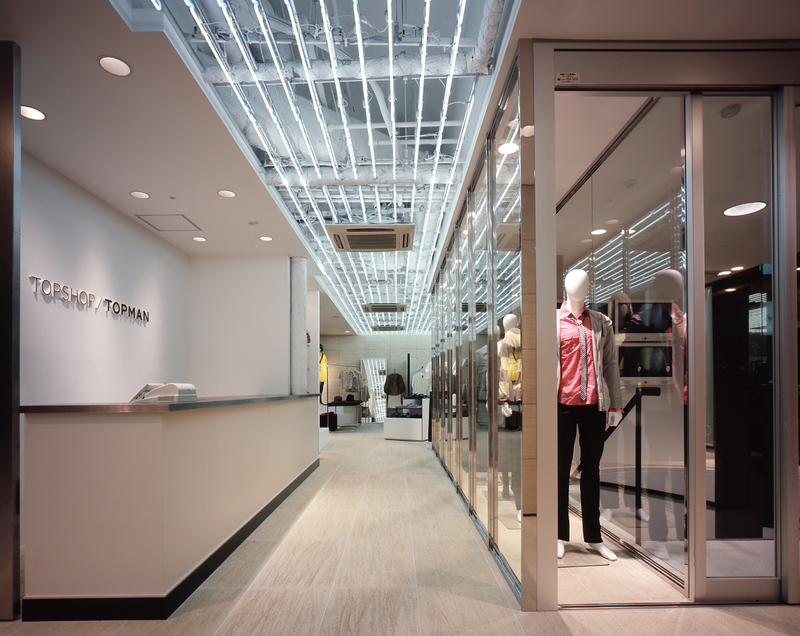 With this being the brand's first shop in Japan, we arrived at the concept of the neon that is seen prominently on the streets of Tokyo. 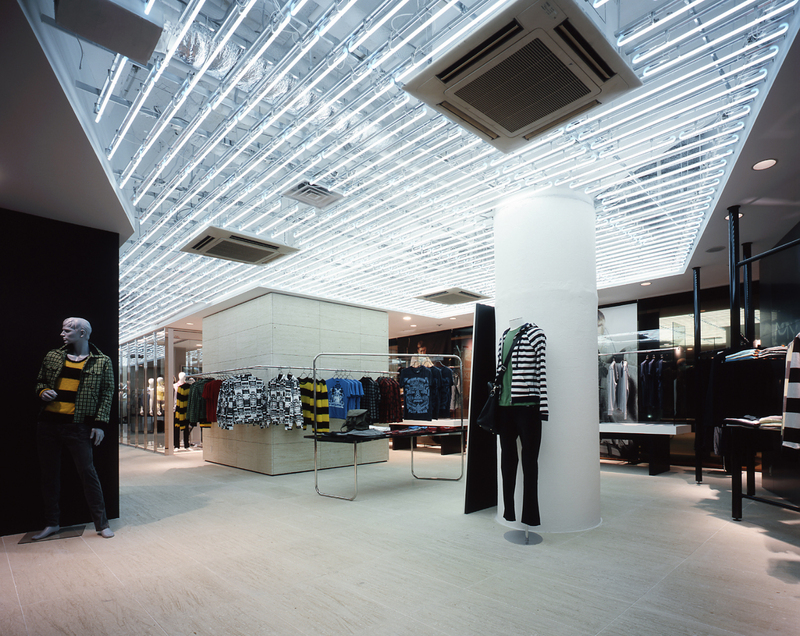 The ceiling is covered with neon tubes used in industrial exterior lighting. 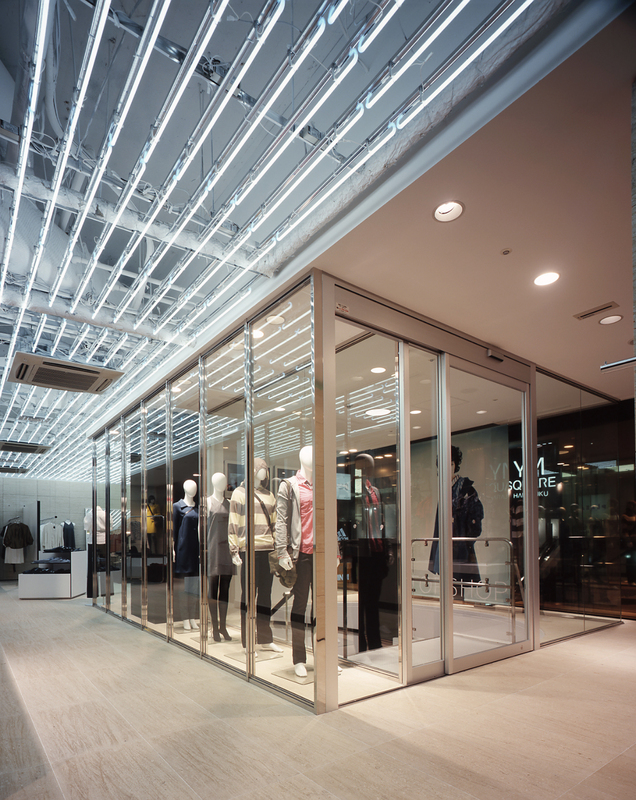 They illuminate the entire white space and create an overwhelming presence as seen both from inside the store from the street.